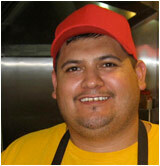 Meet Jorge Portillo, ace cook at BOBS Diner. Jorge has been working with Bob, at BOBS, for four years. Jorge and Bob worked together for six years before that. Let‘s see, zero, carry the one, that makes it a decade of cookin’ collaboration! Now at 724 Main Street, Book Cellar 2 has increased the children's, classics, history, fiction and teen sections and also features Colorado goods and gifts, stationary, office supplies, and novelties for all ages. New hours include extended hours on Friday and Saturday evenings, Sunday until 3:30 and weekdays from 10 to 6 p.m.
What a magical summer. The Faire had record numbers and, more importantly, record amounts of fun. Opening up to the south was a big success, allowing more people to share in the event with less congestion – with one Little exception. Thank you to everyone who volunteered, sponsored, danced, smiled, and helped make this “the way life should be” for a few hours every Friday night! All month long the streets will be rockin’ with tons of activities including Fall Festival, Oktoberfest and the ArtsFest. There’s Magic in the Air this weekend as the Fall Festival hosts a variety of activities including the 17th Annual Senior Dinner, Coal Creek Crossing 5K 10 Mile and Kids Fun Run, Horseshoe Tournaments, Pet Parade and the 16th Annual Fall Motorfest. Food and craft booths all day long and live music featuring The Bandits. Discover the many ways you can be inspired to have fun and unleash your hidden talents at the First Annual Louisville ArtsFest brought to you by ArtsHub. The event is the largest hands-on art participation event of its kind in the area, featuring an ensemble of regional artists representing all forms of visual and performing arts. 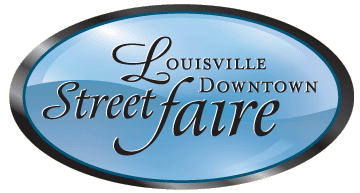 Celebrate art in Louisville with fun, food, drink and music all day long. As part of the Louisville ArtsFest, the Café will sponsor a celebration of short films by local filmmakers and classic cinema. Enjoy food and drink on the patio. Donations will benefit Old Town Cinema. Raise a stein and have some fun at the best beer party in town. The event will feature live music by the Vern Baumer Jazz Quintet, The Tom Allan Polka Band and The Beloved Invaders. The Gallery features the contemporary realism of painter Claire Evans of Boulder County. Claire paints mostly in oil, and her classical training shines through with her attention to detail in form and color. 303-862-6866. Celebrate culture and color in a dramatic new show featuring the work of four artists: Jackie Friesth, Roger Mordhorst, Taunya Bruns and Sheryl Mercure. Opening reception includes live music, refreshments and a chance to meet the artists. Show runs through October. The opening reception includes live entertainment and refreshments. Free and open to the public. Art work from all across the United States will be judged by Arleta Pech and there will be $3,000 in awards. Dana V. Music has expanded and is now pleased to announce registration for fall classes. Classes include private voice, piano, viola, violin, guitar, and flute, as well as group keyboarding, music fundamentals, eurhythmics and Flatiron Chorales. Contact danav@danavmusic.com or call 720-240-1658. Old Town Cinema presents a community outdoor screening of the 1980’s quirky classic Pee Wee’s Big Adventure. Generously sponsored by Lucky Pie, Assorted Candy, Sweet Cow and others. Door prizes and a “Come as Pee Wee” contest (yes ride your bike!). Movie starts at 7:30 p.m. We have the food, drinks and treats... you bring the kids! The Louisville Historical Museum opened its doors 25 years ago this Labor Day weekend! Join the fun to help recognize the Museum for having been a Main Street landmark for so many years and for the important role that it plays in our community. Also, in connection with the Louisville Public Library’s “On the Same Page” program to encourage members of our community to read the book The Worst Hard Time by Timothy Egan, there will be people on hand at the Museum to talk with visitors about what Louisville was like during the 1930s. This walking tour has the theme of “Main Street Stories” and will focus on the history of Louisville’s development as a coal mining town and the downtown commercial district.